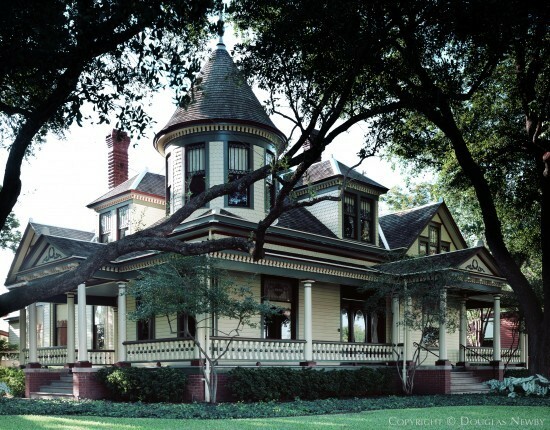 The style of this architecturally distinctive home is Queen Anne, complete with the wood trim, stenciling, murals, and wall coverings from the Victorian period. The house is constructed with a pier and beam foundation, 2 x 6 exterior walls, and has eighty feet of Victorian detailed porches wrapping around the front, side and back of the home. This home is further accentuated by the ridge caps on the roof and beautiful red brick chimney.